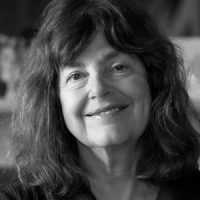 Mary Kaldor is a professor of Global Governance and director of the Conflict and Civil Society Research Unit in the LSE Department of International Development. She pioneered the concept of new wars and global civil society and her work on the practical implementation of human security has directly influenced European and national politics. Her books include: The Baroque Arsenal, New and Old Wars: Organised Violence in a Global Era, Global Civil Society: An Answer to War, and Human Security: Reflections on Globalization and Intervention.